John is a Partner in the Firm's Jackson, Mississippi office with extensive litigation experience focused on securing and maintaining client resources. His primary experience is in construction litigation for high-end commercial and industrial owners and general contractors. He also defends banks and other major financial corporations, insurance companies, railroad companies and retailers in courts throughout the region. John practices in the Firm’s Construction and Project Development, Commercial Litigation and Financial Services Litigation Groups and represents clients in a wide variety of corporate litigation matters. In recent years, he has represented and counseled a large industrial owner through construction and logistics-related claims and issues on a multi-billion dollar start-up project. 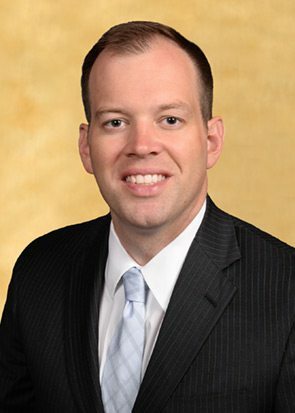 In addition to his claims experience, John also has extensive litigation experience in the state and federal courts of Mississippi in handling corporate disputes for industrial owners, contractors, engineers, banks and other leading corporations throughout the Southeastern Region. His most recent trial concluded with a 1.26 million dollar verdict for a minority shareholder who was frozen out of his business by his own partners. John received his J.D from the Mississippi College School of Law where he served as Projects Editor of the Mississippi College Law Review and Vice President and Co-founder of the Entertainment and Sports Law Society. He also was a staff writer for Amicus, alumni publication for Mississippi College School of Law. John volunteers in the community by coaching youth soccer and baseball, depending on the season, and mentoring future lawyers during Mississippi’s Annual High School Youth Legislature Conference in Jackson.